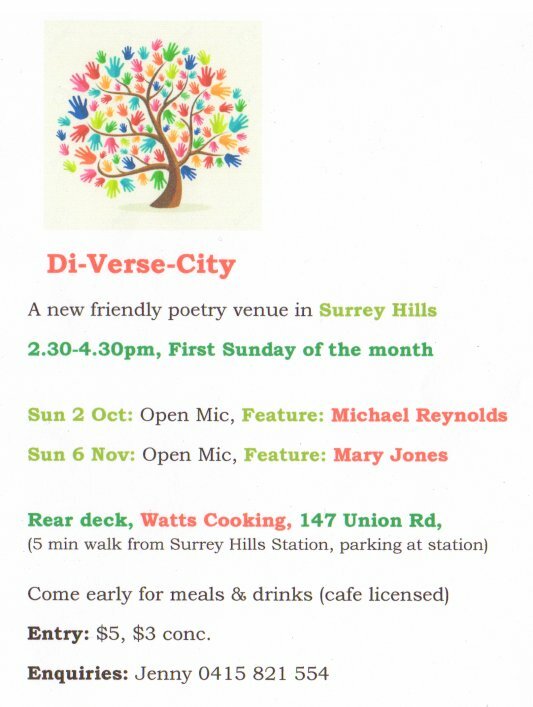 I am to be the feature poet at the November Di-Verse-City poetry event, on Sunday November 6th in Surrey Hills, Melbourne. For details about the event and the venue, see the flyer below. Link to Facebook page here.